I came across a problem recently when I needed to glue edging to the ends of a long table. The problem was that the table was longer than my pipe clamps. 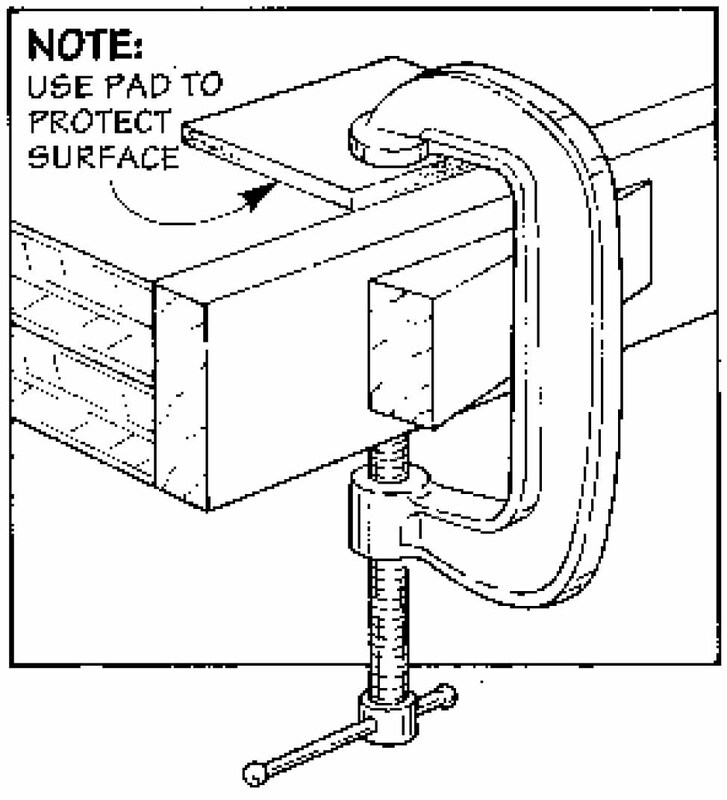 So I came up with this simple technique that uses C-clamps and wedges to hold the edging in place while the glue dries, see Drawing. To do this, first attach the C-clamps to the edge of the tabletop. (To ensure a good glue joint, space the clamps about 6" apart.) And to get the proper clamping pressure on the joint line, tap a small wedge between the edging and each clamp until the edging is tight. 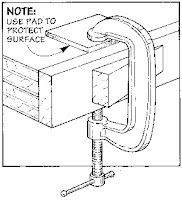 Note: This also works for attaching counter top edging. Clamping has been the best option which is being used professionally for getting the strength in the joints. It sure seems to be the only way that we are having so far for working.